Time seems to be flying by lately. Another week down, another week closer to summer vacations. My kids only have six more weeks of school left. That's crazy! Because of the Spring into Horror Readathon and Dewey's 24-Hour Read-a-Thon, I managed to get a lot of reading done last week. Read on to see the details! 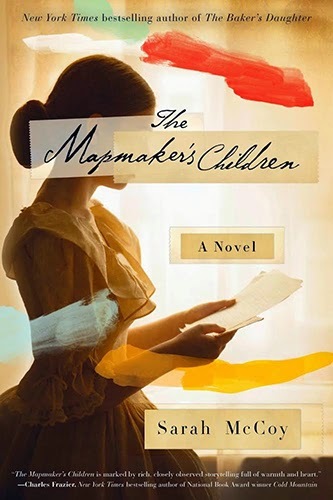 I finished reading The Mapmaker's Children: A Novel by Sarah McCoy. Be sure to enter to win a copy ~ I loved it! I also finished reading The Organ Takers: A Novel of Surgical Suspense by Richard Van Anderson as my required horror/thriller reading for the Spring Into Horror Readathon. And I read Smile by Raina Telgemeier and The Invisible Man by H.G. Wells. It was a fun variety of books last week! 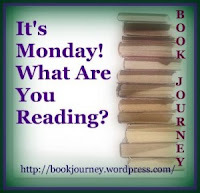 C read Middle School, The Worst Years of My Life by James Patterson, which he really enjoyed. M read Sisters by Raina Telgemeier and really liked it but said she enjoyed Smile better. Now she wants to read Drama , Telgemeier's latest book. Note: Most of the book links in this post are Amazon affiliate links. If you make a purchase by clicking on the affiliate links, Amazon will pay me a small commission, but you will not pay any extra. I'm off to read your thoughts on The Mapmaker's Children! Have an awesome week! Yes! It was fun because I finally managed to carve out time to do it! It helped that it was a rainy, blah day so the family just wanted to hang around the house! Wow, you did the readathon? I'm impressed you managed that with kids! I thought about it but had way too much stuff to get done this weekend. I want to read The Invisible Man, too. Great that your daughter is enjoying Telgmeier's graphic novels. They actually tackle some tough issues and Sisters and Drama are both aimed at middle-school kids so you might want to read them as well in case she wants to talk about them. Lots of romance in Drama and a gay character...just so you are prepared for the questions! I heard that about Drama so we had a talk about it. She still wants to read it so I'll plan to read it first. I saw it made the top 10 most challenged books last year. I'll have to get her to contribute to my Banned Books Week blogs if she reads it! I hadn't heard there was anything older in Sisters, so I think I'll read that one and see if I need to talk with her about anything! Whoops! I like your new blog look! And - love seeing All Over But the Shoutin' in your header picture...it's one of my favorite memoirs ever! Thank you! And I also loved that memoir! That's great! How old are the kids in your book club? You did get a lot of reading done! I hope you enjoyed both read-a-thons. Thanks again for joining me. Hope to see you for High Summer in July!